Demented Tinkerbell, now that is cute. I am using "simplify" this year to guide me, and am throwing out a lot of papers, and organizing the rest so I am interested to hear how your paper organizing goes. Your drawing is fun and cute! I need this book....and some lists! I get to the end of the day and wonder what I've accomplished! lol Sweet hugs! Your cartoon character of yourself is hilarious!!! I just posted a low calorie pancake breakfast that’s so yummy. I was thinking of you when I made it. I just downloaded that song! I think it was the iTunes Freebie this week. Thanks for sharing! This looks like a great read and I love kale! Great post! I can't believe you are gearing up for a major storm. I floss, but not daily and now I will make sure to do so. I went down a hill quickly, multiple times over the weekend (skiing in Utah), but I can't say I went up the hill quickly. I guess that on the chair lift I went up much quicker than if I was hiking. I have the Book of Doing next to my bed and need to get going with it. What have I been listening to ? 10 hours of my son's playlist as we drove back from Utah. Some I loved, a couple of songs felt like I was listening to nails on a chalkboard. I listen to Jazz, classic and smooth. Takes me to heaven! We are buried deep under snow and this morning it is minus 35 C !! OH Boy it's cold! So glad I have a new computer so I can visit you and smile! That Tinkerbell is a hoot ~ and you are much more attractive. This winter weather is something isn't it? We go from 70's to 20's overnight. But I LOVE that cartoon of you....too adorable! 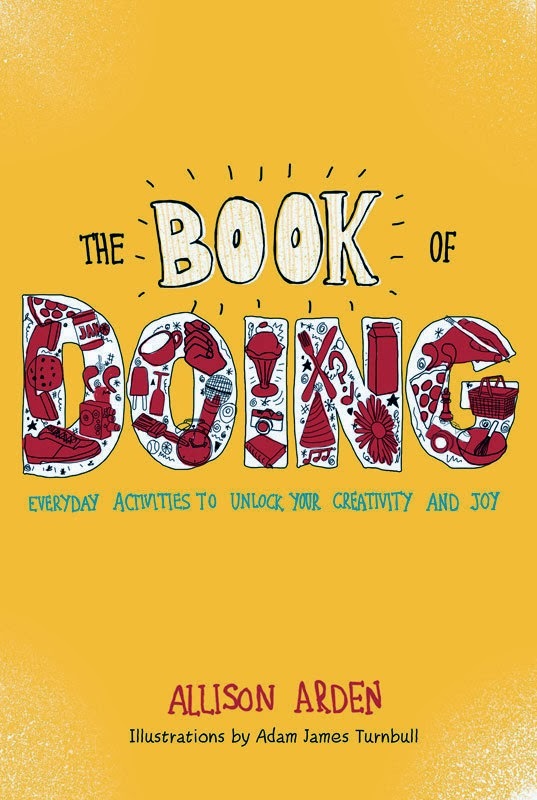 And it sounds like The Book of Doing is not just creative ideas and inspiration, but the rah rah rah to get through them. Wahoo!